Fourteen employees at an El Monte, Calif., aquatic park are organizing an effort to get their jobs back after they were fired for filming a parody video they say was meant to highlight how much they loved working at their jobs. In the video, a group of lifeguards dances in humorous choreographed moves in an homage to the "Gangnam Style" video that has become a huge viral sensation online, with more than 130,000,000 views. 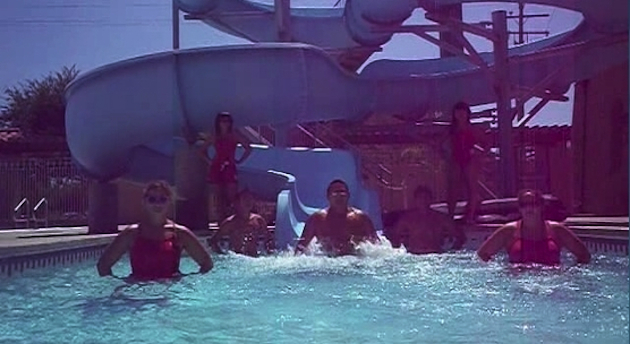 However, the city of El Monte did not see the humor in the video, titled "Lifeguard Style," firing all of the lifeguards who participated and the pool's manager. City officials said they had violated the El Monte Aquatic Center's uniform policy. The fired employees have launched their own Facebook page, "Bring back the 14 El Monte lifeguards," and a petition on change.org that has already gathered several thousand signatures. They say they plan to petition the city for their jobs back at the next city council meeting. "We 14 were terminated due to 'at-will' employment. Employees who did not participate in our video but were merely caught in the background were fired. One manager who did not appear in the video at all was also fired," the group wrote on its Facebook page. "Had the city asked us to take down the video, we would have complied. Had they asked us to edit the video, we would have complied. However, termination was the first and only option. El Monte now has bad publicity instead of what could have been free promotion of a beautiful facility with a dedicated and fun staff." In the meantime, the lifeguards' video has become something of a hit on its own, generating nearly 500,000 views since it was first posted. A statement from the city reads in part: "There was a clear unauthorized use of city resources and property, including the use of city-issued uniforms during the making of this unauthorized video. The city maintains that it holds all employees to a higher standard." The employees note that they were off the clock when they filmed the video and that the pool was closed at the time. But most of all, they say they are baffled over why they would be fired for doing something fun that they believed would bring positive attention to the aquatic center.